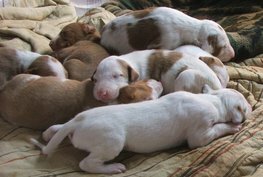 Litter Plans Heron and Hound currently has exciting litters planned for 2018 and 2019! Please contact us with inquiries. 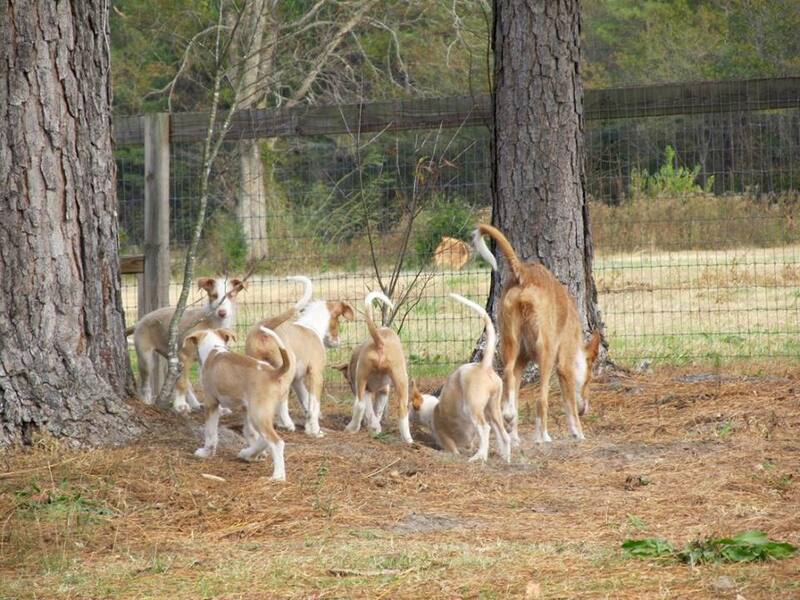 This is a Co-Breeding between us at Heron and Hound, Notanuff Ibizans and Hera Hounds. We expect consistent wire puppies similar to Pepper's first litter. please contact us if you are interiested! 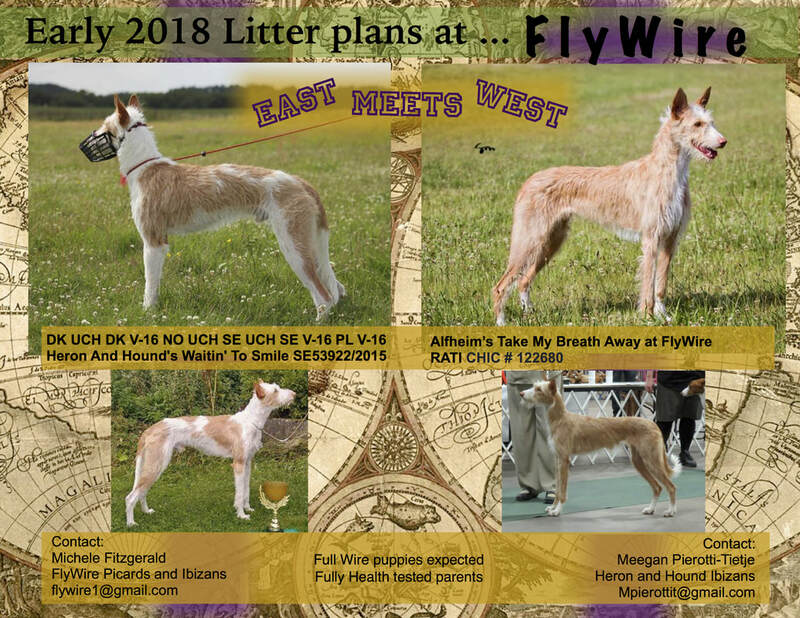 This breeding is owned and whelped by Michelle Fitzgerald of FlyWire Ibizans in Virginia, and uses our boy Patch as the sire. Please contact us here at Heron and Hound or Michelle directly at flywire1@gmail.com to learn more. Update: Mari is now mother to a little Female! Congratulations to Michelle!